Beautifully appointed, turnkey, furnished, 2 bed - 2 bath, 3rd floor, Ashbury Model in Heritage Cove, a warm and friendly 55+ community. If you're looking for your Florida home with great beach decor, warm Florida color and awesome sunset views, in a fantastic location for our wonderful southern living...this is it! 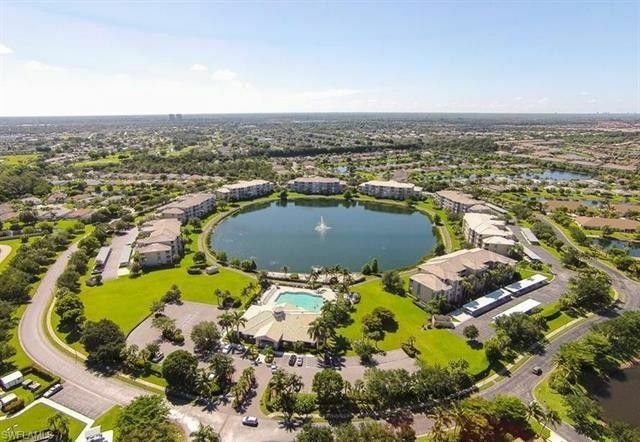 This home features a great view overlooking a lake with all the Florida Wildlife and outstanding Florida sunsets.Unit is move in ready and offers custom mirror accents, newer AC system and water heater, Rolsafe Hurricane Shutters throughout, crown molding and chair rails throughout, new roof and exterior building paint ~ 2018, low taxes, new dishwasher ~ 2019, low fees with Water, TV and Internet included, and much more. HERITAGE COVE is a very socially active 55+, Pet Friendly Community with Tennis, Bocce, Shuffleboard, Bowling and Golf Leagues, Pitch-ins, dances, and On-Site Property Manager, 50 Acres of lakes, 10 Acres of Natural Preserves with quiet tree lined streets and walking paths. It is a highly active, fun community with great events happening year round. This home is a must see...and you'll love it. Call or text today for your private showing.